Instagram is rather a social networking platform. Because of this, it has become the most famous mobile app for photo and videos sharing. It is a fast, beautiful and also the best way to share your life moments with friends and family. You can take picture or video, then choose a filter to change its feel and look, then simply post to Instagram and still it is very easy. You can also share your Photos and Videos on social networking sites like Facebook, Google+, Twitter and more. Whenever you open Instagram, you’ll see some new photos and videos from your closest friends as well as moments shared by creative people across the globe. While more than 300 million people use Instagram across the world over. With custom-designed filters as well as 10 advanced creative tools you can change brightness, saturation, contrast and shadows and make your image effective. Follow people all over the world and keep up with their photos and videos. As we all want to use our smartphone apps on PC therefore, we have already posted about how to run android apps on PC. Hence, we all know Instagram is available on Android, IOS and Windows phone only and the PC version is not yet available. But if you want to know how to use Instagram on PC then just follow the simple ways to install Instagram on PC. How To Use Instagram On PC. ? 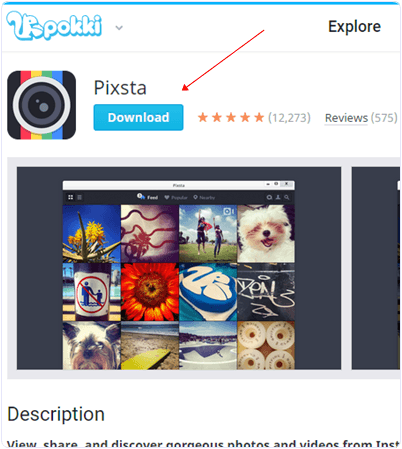 Method 1st:- Download Instagram For PC Using Pixta. 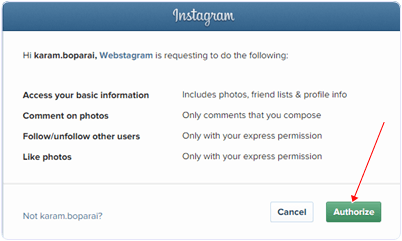 Method 2nd:- Use Instagram On PC With Webstagram. 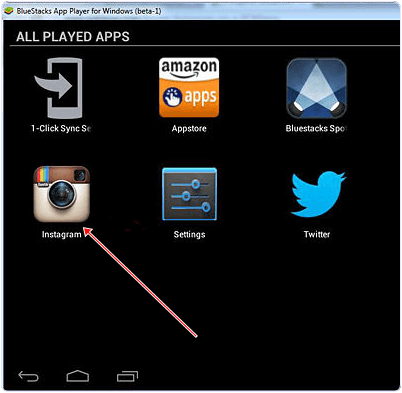 Method 3rd:- Use Instagram On PC With Bluestacks. 1. Visit the site and Download Pixta app. 2. Then, click on downloaded file it will open Pokki Window installer click on next and complete download. 3. Wait and complete downloading and installation. 4. After completing the downloading and installation click on the login button as you see in the image. Fill your Instagram Username & Password and enjoy it. 1. Visit the site Webstagram. Click on Login. 2. After it, will show you dialogue box and ask you for permission then click on Authorize and proceed further. 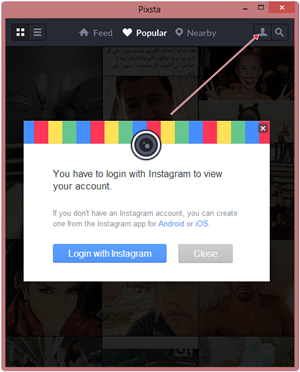 Fill your Username & Password and enjoy Instagram. 1. Download Bluestacks emulator for your PC/Laptop and install it. 2. Click on search box in bluestacks and find Instagram. 3. Click on install option it will install Instagram in bluetacks emulator then simply open it put your Username & Password and open your profile. 1. Go and Visit Instagram’s official website. 2. 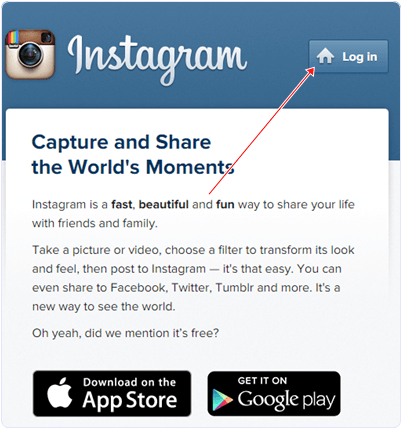 Click on Login and fill your Instagram Username/Password and continue. We have listed out all working methods to use Instagram on PC and i hope that all will successfully works for you. In case you have any issue please leave your precious comment for discussion.